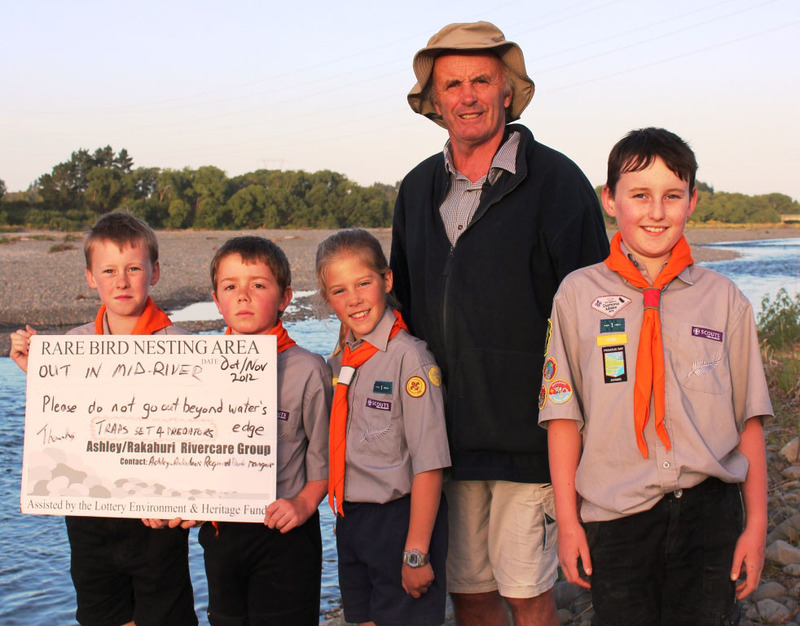 In 1999, concerned by the declining state of the Ashley-Rakahuri River near Rangiora, New Zealand, members of the community came together and formed the Ashley-Rakahuri River Rivercare group, ARRG. While different interest groups, from gravel extractors and 4WD enthusiasts to bird watchers, are often on opposing sides of issues, we all had a common desire to reverse the decline in numbers of the unique birds that breed on the river. From the outset, we worked together with the Department of Conservation, Environment Canterbury, and the Waimakariri District Council to develop and implement a strategy to manage an 18km section of the river from the confluence of the Okuku River downstream to the State Highway 1 (SH1) road bridge. Regular pest trapping, bird monitoring, and public education campaigns began in earnest in 2004. For the next few years we received funding from WWF, Pacific Development and Conservation Trust, NZ National Parks and Development Foundation, and the NZ Lottery Grants Board. The co-operative model worked. So in 2007, we organised a braided river birds workshop. That led to the formation of BRaid, an organisation that advocates for braided rivers across the South Island. In 2010 we won the Canterbury-Aoraki Conservation Award, and in 2018 we won the Australasian Wildlife Management Society annual award for Practical Wildlife Management. Today, some twenty years after that first meeting, our dedicated volunteers build, install, and check predator traps, monitor bird populations annually, undertake field research, support graduate student research, trial programmes to enhance habitats through weed clearing and island formation with the assistance of a local gravel extraction company Taggart Earthmoving, lead ‘river ramble’ walks during Conservation Week, and regularly visit schools and community groups (see our reports for details). Apart from large one-off projects, for which we seek outside finances, we are largely self-funded through the work of volunteers, some of whom make DOC200 traps that we sell. Plus we are sponsored by a local business, Karikaas, artisan makers of a ‘braided river birds’ series of award-winning cheeses. It’s not just the birds that benefit. The community as a whole is enriched by the knowledge that a rare ecosystem is right here in their backyard and some of the most endangered birds in the world choose to call it home. Our job is to ensure that we protect and nurture this environment for future generations. The Ashley-Rakahuri River is not just a waterway. It’s a globally rare ecosystem called a ‘braided river’. These complex ecosystems occur only where a very specific combination of climate and geology allows rivers to form ever-changing and highly dynamic channels or braids that weave across a wide dry gravelly riverbed known as the braidplain. Periodically, the entire braidplain is covered in water from bank to bank. This vital part of a braided river’s ecological processes is referred to as a ‘fresh’ rather than a flood. Huge volumes of gravel are washed downstream (the entire Canterbury Plains was formed by braided rivers), and when the water recedes, new channels have formed across the braidplain. This constantly changing environment has given rise to a unique ecosystem of plants, animals, and invertebrates, the most visible of which are the birds. Having evolved to live in this extraordinarily dynamic and challenging environment, some species now depend entirely on braided river ecosystems for their survival. The Ashley-Rakahuri (the second part of the name is Māori), is some 25km north of Christchurch on the east coast of the South Island-Te Wāhi Pounamu. Its catchment is the foothills of the Southern Alps-Ngā Puke-māeroero, not the mountains themselves, and so it’s a relatively smaller braided river compared to its nearby big sister, the Waimakariri River. Following surveys of Canterbury rivers in the 1970s and early 1980s, the New Zealand Wildlife Service (now the Department of Conservation-Te Papa Atawhai) the Ashley-Rakahuri was one of only five rivers given the highest possible ranking of ‘Outstanding’ in terms of its wildlife and conservation values. 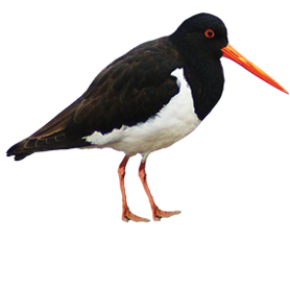 The shorebird values are well-recognised. The river and estuary are included in a list of wetland sites which meet criteria prescribed to be of international importance by the International Union for the Conservation of Nature (IUCN). Away from the coast (and a few remnant wetlands) braided rivers are the only remnants of the original Canterbury Plains’ ecosystems still reasonably intact. But their ecological values are increasingly under threat. Most have been invaded by weeds and introduced mammalian predators, and are further degraded by a wide variety of human activities. The Ashley-Rakahuri is no exception. Declining bird numbers over the last 25 years have led to its more recent classification of a river of ‘national’ importance. While dozens of bird species live along the river from hills to the estuary, our primary aim is to protect three key species: the wrybill-ngutupare (Anarhynchus frontalis) pictured at the top of this page, black-fronted tern-tarapiroe (Sterna albostriata) and the black-billed gull-tarāpuka (Larus bulleri) pictured above (a colony is also visible in ‘the ‘river’ picture above; see if you can spot it). 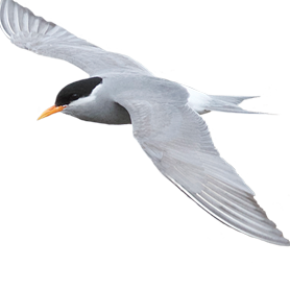 These three species nest on the bare shingle in braided river beds from August/September – January/February. They evolved in a world free of predatory mammals, where the only creatures that hunted them, such as the now extinct giant Haast eagle, were airborne. Laying eggs that look exactly like river pebbles and bearing equally cryptic chicks was a perfect strategy that served them well for hundreds of thousands, even millions of years. 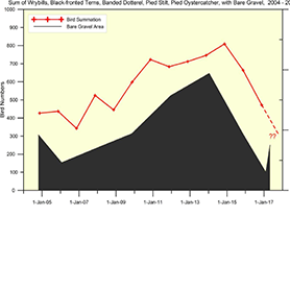 But over the last 20-30 years their numbers have declined substantially across New Zealand. Introduced pest mammals – rats, cats, hedgehogs, stoats, weasels, and ferrets – have found them to be easy prey. Combined with human activities and invasive weeds destroying their habitat, little wonder the birds have suffered so badly. 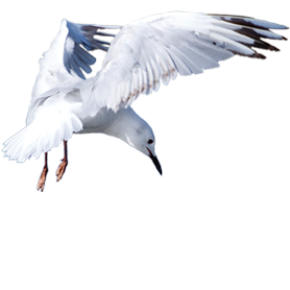 The black-billed gull-tarāpuka is nationally critical (just one step from extinction) and the black-fronted-tarapiroe is close behind. 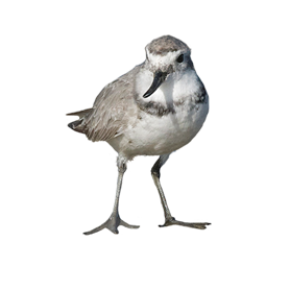 Other threatened native species nesting on the Ashley-Rakahuri include the banded dotterel-tuturiwhatu (Charadrius bicinctus), the pied stilt-poaka (Himantopus himantopus) and the pied oystercatcher-tōrea (Haematopus ostralegus). 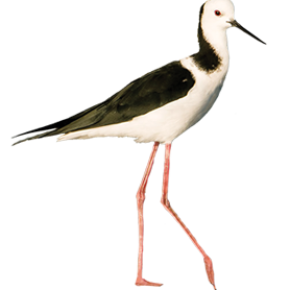 A single black stilt-kakī (Himantopus novaezelandiae) had been breeding in the river/estuary area until 2009, but only by mating with a poaka. From 2011, the (presumably same?) bird has been breeding in the dune swales between the Ashley and Waimkariri river estuaries. Kakī are extremely rare, with just 132 existing in the wild in 2018. 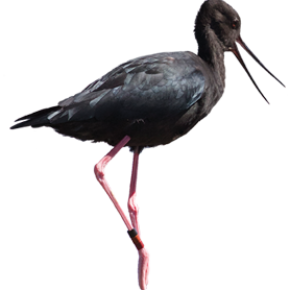 The Department of Conservation are running a captive breeding programme for kakī, and one of our goals is to create a suitably protected area on the Ashley-Rakahuri for kakī from this breeding programme to eventually be re-introduced here. 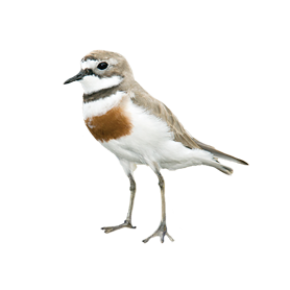 Click on the images below for more detailed information about each bird, and also trapping and monitoring programmes and research reports. We’ve achieved a great deal these past few years. Our annual reports, including bird surveys, population trends, and field research is available here. Check our news pages, visit us on Facebook, or book a talk for your school or community group. We’re always happy to share the stories of these birds and their remarkable braided river home here on the Ashley-Rakahuri River. Become a member (it’s free). We meet in the evenings every few months at the Department of Conservation, 32 River Road Rangiora. Our next meeting will be 6.00pm Tuesday 19 March, 2019.